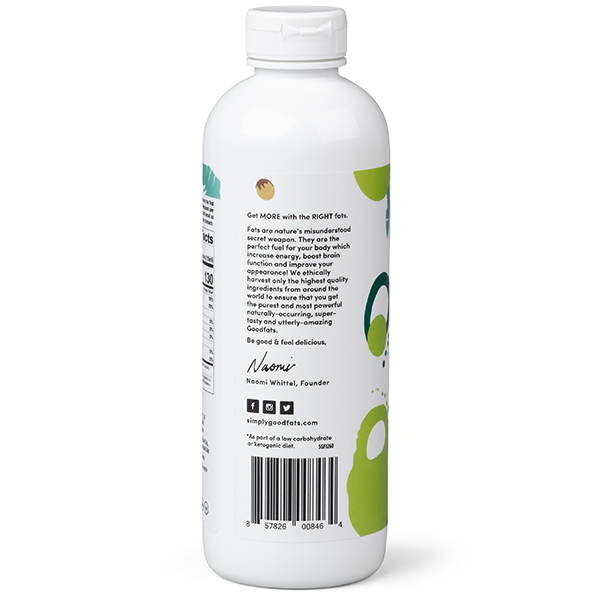 Simply GOODFATS® Whole Food MCT (medium-chain triglycerides) Oil provides these nourishing fats in the same ratio found naturally in the coconut. 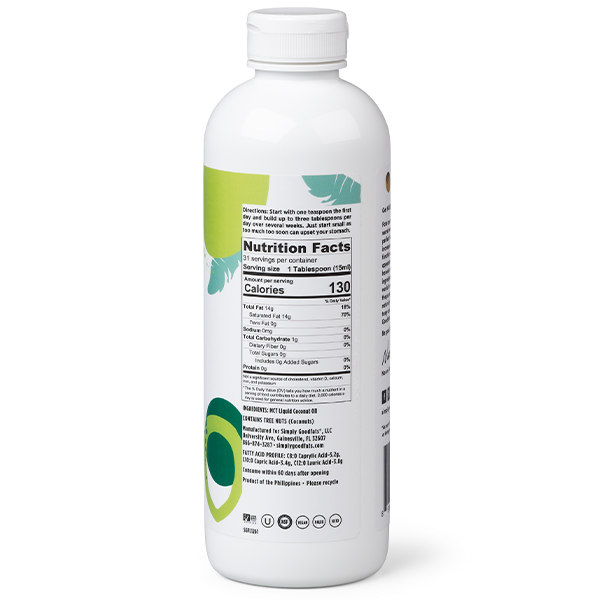 It delivers the right combination of fat to provide quick energy to lift brain fog, burn stored fat, fire-up metabolism and satisfy cravings. 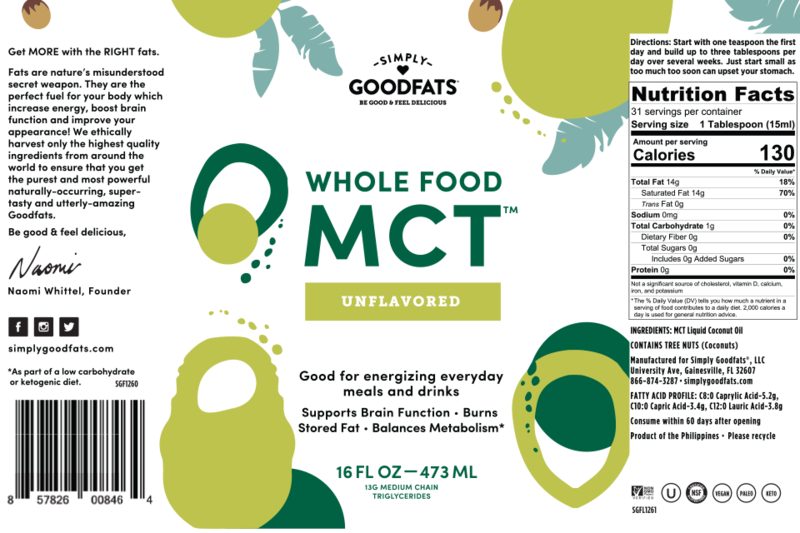 Made from the freshest coconuts and processed close to the source to preserve freshness and nutrition, Whole Food MCT is an easy addition to your daily routine. Pour, blend or drizzle on anything — it’s all good. Give your hummus a keto upgrade with zucchini for added vitamins and minerals. Rich and delicious with cayenne, paprika and vinegar for flavor enhancement that gives this hearty soup a kick. Add in coconut for creamy consistency and extra MCTs to make this traditional chowder even more satisfying. 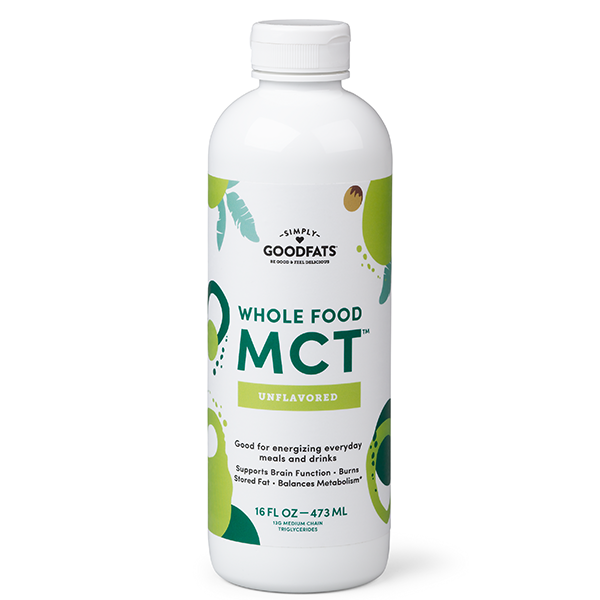 I’ve been using MCT Oil for a few months now. I was pleasantly surprised to find this MCT has an easy pour spout. So much less mess. I get exactly the amount I need without any spills. MCTs keep me full and satisfied all day. I take some first thing in the morning, mid-morning and at my 3:00 afternoon slump. It keeps me focused too! I really appreciate that the natural ratio of the MCTs is preserved in this oil. Each MCT has a purpose and I want them all in my oil.